As promised, here are more Victorian fashions, this time from a couple of decades later than last time. 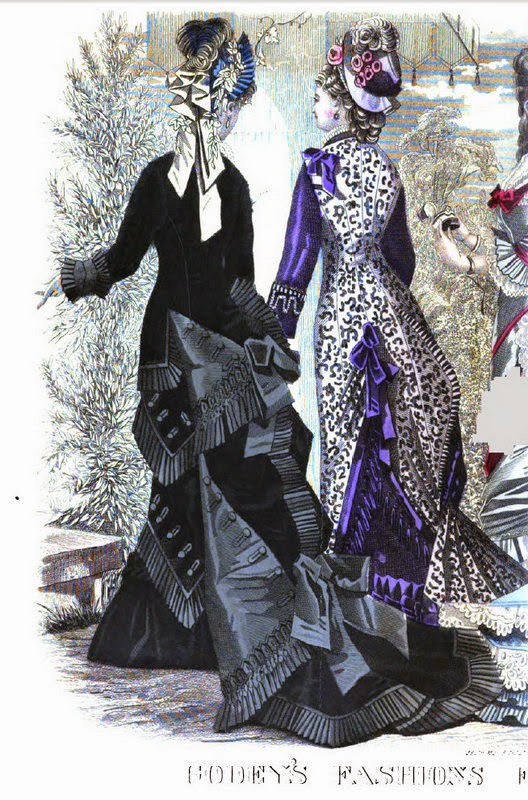 Our readers will probably take issue with “almost nothing,” (more on this topic here) since the fashionable woman of 1877 is wearing a chemise and/or camisole, drawers (or combination—combining drawers and chemise) crinoline, petticoat, corset, and maybe more underneath, but probably not a bustle … yet. Our Victorian underwear experts are welcome to clarify what went on in what order. Fashion place description source text is here, where you can enlarge further for easier reading. I have not yet found a way to combine the two fashion plate pages without degrading the image, so you'll have to imagine the Fig. 3 dress in one piece. *C. Willett Cunnington, English Women’s Clothing in the Nineteenth Century. Loretta, your description of the 1877 underclothing is slightly wrong. The crinoline, otherwise known as the hoopskirt, had been out of fashion for at least a decade. By 1877 it is the era of the bustle, though by this period the Natural Form had become fashionable. A fashionable lady would have worn combination underwear, corset, bustle, and petticoat(s). Compared to the number of petticoats, drawers, and chemises, a lady wore a decade earlier to the Victorian it was like wearing virtually nothing underneath. Check out Truly Victorian patterns to get a sense of the changing fashions of the crinoline and bustle eras. There were a number of fashion trends that changed the size and shape of the bustle during the bustle era. 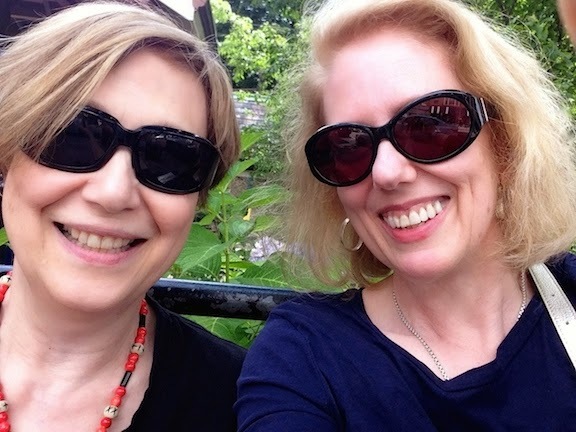 Michelle L. Hamilton, author, "I Would Still Be Drowned in Tears": Spiritualism in Abraham Lincoln's White House. Yes, Michele, I see I read too hastily. 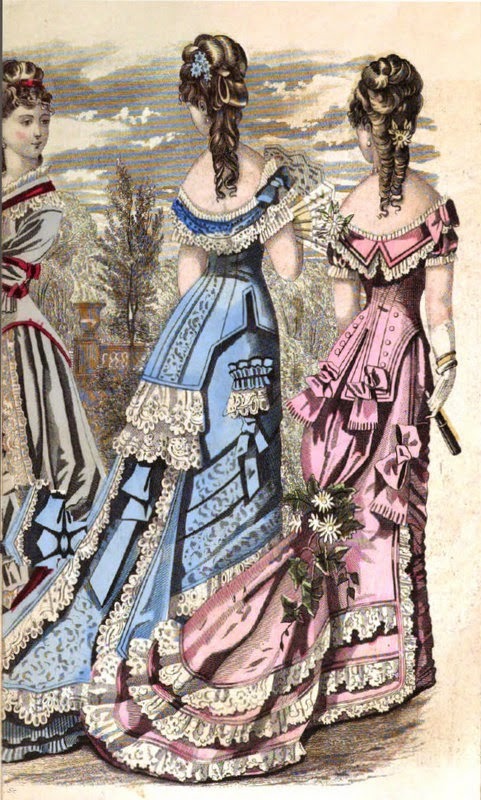 The book shows crinolines and crinolettes in the early 1870s, but thereafter speaks of petticoats and bustles. 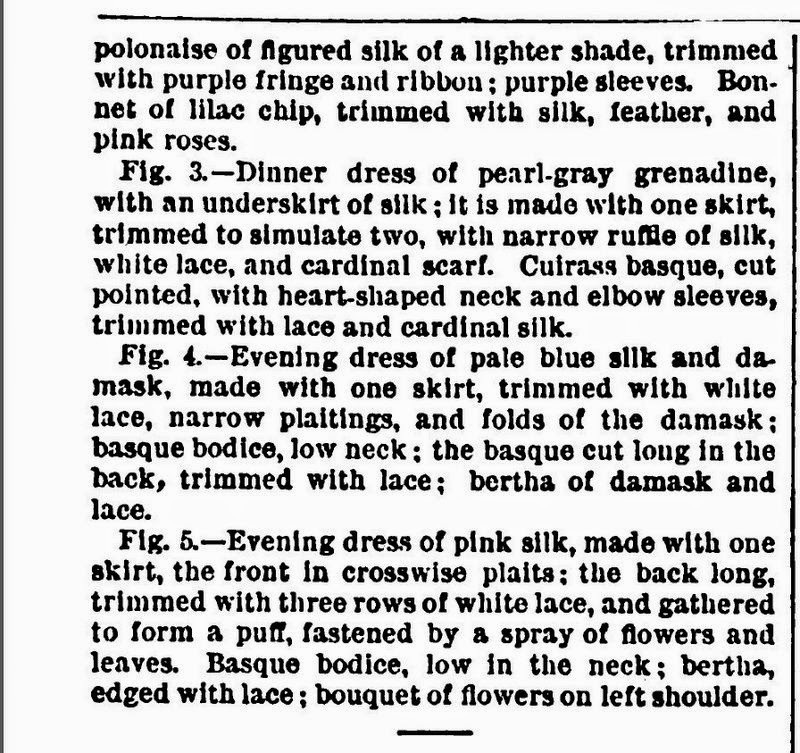 The chemise, combination, and camisole business is also confusing--doubtless because I haven't really studied undergarments of this period as closely as for the 1830s. Thank you for helping us make sense of all this! I covet that black dress. Maybe someday I'll have someone make one for me. In regards to the Godey's June 1877 picture whereby you say if you try to combine, it might become degraded. Well I have the picture all in one. Not degraded nor in color. Black and white.